Dr. Vasit Sagan is an Associate Professor with the Department of Earth & Atmospheric Sciences at Saint Louis University (SLU). He directs M.S. in Geographic Information Science (GIScience) degree and graduate and undergraduate Certificate programs in GIScience. He teaches an array of courses in GIS, remote sensing, geospatial methods, and GIS programming. His research focuses on developing state-of-the-art remote sensing and GIS tools, machine learning algorithms, sensor/information fusion, and geospatial methods to study food and water security, bioenergy, and power grid sustainability from regional to global scales. Dr. Nichole Gosselin is a Postdoctoral Fellow with the Department of Earth & Atmospheric Sciences at Saint Louis University. Dr. Gosselin earned her Ph.D. degree in Meteorology in 2015. Her research focuses on the Effects of Climate Change on Soil Carbon Levels Based on Projections from Global and Regional Climate Models. Currently, she is working on plant phenotyping and yield prediction using remote sensing integrated with machine learning and modeling (WRF and DSSAT). ​Dr. Matthew Maimaitiyiming is a visiting PostDoc Fellow in Remote Sensing Lab. He earned his PhD degree in Environmental Sciences and GIS track of Integrated Applied Sciences program in July 2018 from Saint Louis University, and currently a postdoc at University of Missouri, Columbia. He utilizes field, airborne, and satellite based imaging and crop biophysical variables for characterizing tipping points of abiotic stress, which is critical to develop stress-resistant crops under changing climate. Sean Hartling is a PhD student who received his B.A. from Washington University in St. Louis and a Graduate Certificate in Advanced Remote Sensing and GIS from Saint Louis University. Dissertation topic: Storm damage forecasting for regional utility network using UAS/satellite remote sensing and GIS. Mason Maitiniyazi is a PhD student in Environmental Sciences and GIS track of Integrated Applied Sciences program. He earned his B.S. in Urban and Rural Planning & Resource Management from Peking University (2005), and M.S. in Geography from Zhongshan University (2007), China. His uses computer vision, machine learning, remote sensing and modeling for crop growth monitoring and food security. Dissertation topic: UAS and manned aircraft regional monitoring for improved crop productivity. Bethany Marshall is a PhD student in Environmental Sciences and GIS track of Integrated Applied Sciences program. She earned her B.S. in Geography from Southern Illinois University Edwardsville, IL (2015) and M.S. in Geographic Information Science from Saint Louis University (2017). Her research focuses on a UAS surveying for engineering applications. Kyle Peterson is a PhD student in Environmental Sciences and GIS track of Integrated Applied Sciences program. He earned his B.S. in Geography from University of Missouri in Columbia (2016), M.S. in GIScience from Saint Louis University (2018), which was followed by his PhD work starting Summer 2018. ​Dissertation topic: Machine learning, data fusion, and cloud computing for the evaluation of water quality​. Aishanjiang Yasen is a M.S. student in Geographic Information Science program. He earned his B.S. in Environmental Science from Nanjing University, China (2009). He joined the Remote Sensing Lab in Summer 2018. His research focuses on remote sensing applications in bioenergy. Stephen Leard is a M.S. student in the Geographic Information Science program. He earned a B.S. in Biology and a B.A. in English Literature from the University of Maryland, College Park (2008). He joined the Remote Sensing Lab in Fall 2017. His research focuses on conservation technology, immersive interfaces for remote sensing data visualization, and human factors affecting zoonotic spillover risk. Thesis topic: Developing and evaluating immersive interfaces for exploratory data analysis in remote sensing. ​David Ridge is a M.S. student in the Geographic Information Science program. He earned his B.S. in Aeronautics with a Minor in Strategic Intelligence from Saint Louis University (2017). He joined the Remote Sensing Lab in Fall 2017. His research focuses on multi-modality remote sensing using multiple remote sensors using UAS photogrammetry, Airborne LiDAR, and InSAR. Thesis topic: Using LiDAR, aerial photogrammetry, and Interferometric Synthetic Aperture RADAR to estimate tree growth. Dr. Patrick Paheding (2/2017 - 1/2019), PostDoc Research Associate in the Remote Sensing Lab from 2017 - 2019. While he was in the lab, his research focused on Machine Learning, Computer Vision, Deep Learning and Remote Sensing. Dr. Maria Librada Chu, post-doctoral fellow (2011-2013). Dr. Chu's research focused on a project examining the potential influence of climate change on hydrologic aspects of human and natural systems in the Midwestern U.S.
Kevin Eblimit (2017-2018) earned his M.S. degree in Geographic Information Science program. He earned his B.S. in Geographic Information Systems and Technology from Texas A&M University, College Station, Texas (2017). He joined the Remote Sensing Lab in Fall 2017. His research focuses on remote sensing applications in engineering and oil exploration. Thesis topic: UAV-based high resolution thermal imaging: comparison of ICI 8640 p, FLIR Vue Pro R 640 and thermoMap sensors for vegetation monitoring and plant phenotyping. ​Matthew Maimaitiyiming (2013-2018) earned his PhD degree in Environmental Sciences and GIS track of Integrated Applied Sciences program. He earned his B.S. in Geographic Information System from Xinjiang University (2009), and M.S. in Geospatial Technology from Universidade Nova de Lisboa (2013). He utilizes field, airborne, and satellite based imaging and crop biophysical variables for characterizing tipping points of abiotic stress, which is critical to develop stress-resistant crops under changing climate. Dissertation topic: Multiscale Remote Sensing and Machine Learning for Improved Grapevine Productivity​. Elizabeth Loesch (2015-2018) earned her PhD degree in Environmental Sciences and GIS track of Integrated Applied Sciences program. She received her B.S. in Earth Sciences from University of California, Santa Cruz (1997), and M.S. in Geosciences from the University of Nevada, Las Vegas (2004). Dissertation title: Using Remote Sensing and Spatial Statistics to Characterize Seismicity in Oklahoma​. Kyle Peterson (2016-2018) earned his M.S. degree in Geographic Information Science program. His B.S. was in Geography from University of Missouri in Columbia (2016). He joined the Remote Sensing Lab in Summer 2016. Thesis Title: Machine learning based ensemble prediction of water quality variables with proximal remote sensing using feature-level and decision-level fusion. Mark Grzovic (2013-2017) earned his PhD degree in Geophysics in the Department of Earth & Atmospheric Sciences at Saint Louis University. Mark received his B.S. in Geology and B.S. in Mathematics, respectively, from Lamar University (2007), and M.S. in Geology from the University of Missouri, Columbia (2013). Dissertation topic: Monitoring land subsidence in Midwestern U.S. using multi-temporal InSAR. Ethan J. Shavers (2013-2017) earned a PhD in Environmental Sciences and GIS track of Integrated Applied Sciences program in May 2017. His research focused on integrating remote sensing and economic geology. Dissertation topic: Geochemistry and Multiscale Remote Sensing of Carbonatite-ultramafic Intrusive Lithologies. ​Dr. Shavers' PhD work has yielded 3 peer-review journal papers published in Lithos (2016), Tectonophysics (2017) and Ore Geology Reviews (2018). Ben Bira is a M.S. student in Sustainability program. He earned his B.S. in Biochemistry from Rockhurst University, Kansas City, MO (2012). He earned MS in Sustainability in May 2016. Guzhaliayi Sataer (2015-2016) was a PhD student in Environmental Sciences and GIS track of Integrated Applied Sciences program. She worked as research assistant in Remote Sensing Lab during 2015-2016 academic year, and joined Western Michigan University to pursue a PhD in Geosciences in Fall 2016. Her work at Saint Louis University involved an NSF funded research on multiscale remote sensing and model based approaches for crop growth monitoring and management. Yuyan C. Jordan (2010 - 2013), Ph.D., Saint Louis University; Dissertation title: Surface water quality under climate and land use changes derived from remote sensing data integrated with SWAT hydrological modeling. Dr. Jordan's PhD work has yielded 3 peer-review journal papers published in Landscape Ecology (2012), Earth Science Reviews (2014) and Journal of Environmental Inforamtics (2014). Kahaer Alafate (Spring & Summer, 2015), Undergrad researcher from Computer Sciences program. Kahaer is involved with a NASA funded project, working on compiling and entering field data and developing IDL/Matlab programs to read and process spectral and imagery data, as well as implementing statistical algorithms. Laura L. Bernett (Spring 2015), Undergrad researcher from Environmental Sciences program of Earth & Atmospheric Sciences. Laura's research focuses on quantifying the impact of ambient ozone on ion/nutrient concentrations of soybean plants using field based spectroscopy and hyperspectral imager. Liyang Yu (Spring 2015), Undergrad researcher from Environmental Sciences program of Earth & Atmospheric Sciences. Liyang's is working on mineral resources mapping in Midwestern US using field and satellite remote sensing. Kirsten Butcher (Spring 2013), Undergrad student from Environmental Sciences program of Earth & Atmospheric Sciences. Her research (GIS Capstone) study focused on sustainable agriculture. 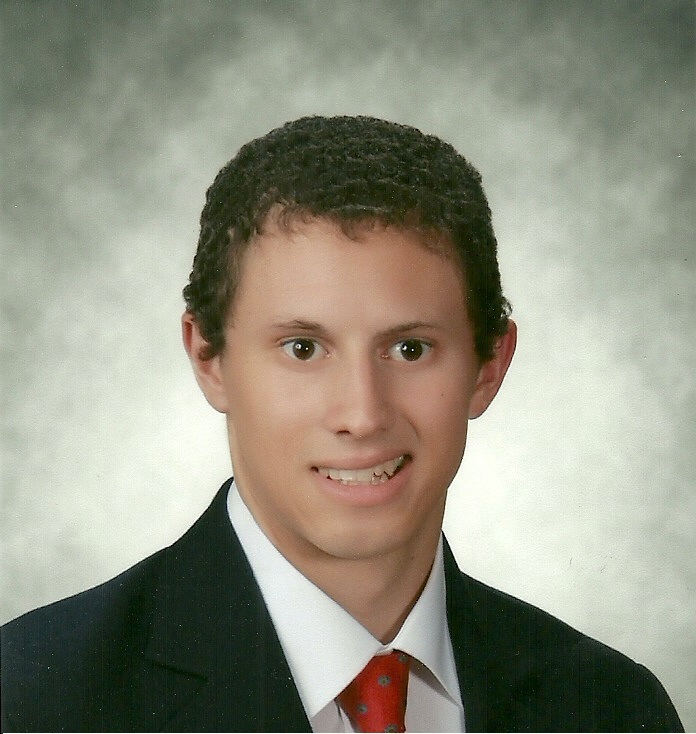 Timothy Barbeau (06/2013 - 09/2013), Undergrad student from Environmental Sciences program of Earth & Atmospheric Sciences. His research/independent study focused on Changes in Leaf Area Index attributed to aerosols. Mason Maitiniyazi (August 20, 2013- August 19, 2014), visiting faculty from Xinjiang Agricultural Univeristy, China. Mr. Mathew's research focuses on GIS and remote sensing based modeling of socio-economic drivers of land-cover/land-use change and urbanization in post industrial US cities. 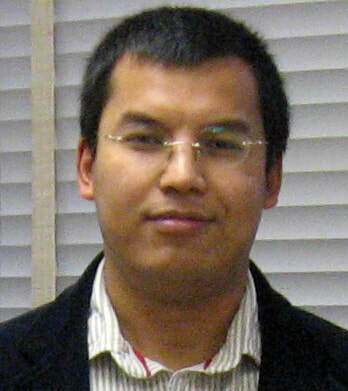 Dr. Mason Sawut (April 20 - July 20, 2013), visiting faculty from Xinjiang Univeristy, China. Dr. Sawut's research focused on remote sensing estimation of soil sand content, soil quality and its environmental impacts. Dr. Tao Zeng (June 24 - December 31, 2013), visiting faculty from Chengdu University of Technology, China. Dr. Zeng's research focused on estimating the volume and spatial extent of loose deposits, and its contribution to potential geological hazards over Wenchuan Earthquake zone, China using airborne and space borne optical remote sensing and InSAR coherence approach.